On Tuesday Bernadette went into partial coma state of being. From Tuesday until today (Friday) she has steadily gotten worse. Tuesday morning she recognized folks and was able to interact with jesters. Wednesday her half-sisters were here. She was able to briefly open her eyes when touched and talked to. Yesterday the same but a little worse. Today, Friday Morning, she half opened her eyes with a stare and a groan trying to move her limbs when touch and talked to. All total since Tuesday, she has only been conscience about 15 minutes when all added together. It’s hard, but we knew these days were coming and are prepared. The priest visited her on Tuesday. 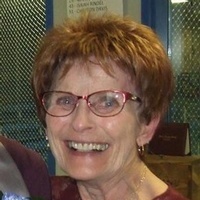 Sharon Beckman, age 73 of Bottineau, died Tuesday at her home. Her funeral will be held on Friday at 2:00 pm at the Our Savior’s Lutheran Church at Bottineau. Visitation will be Thursday from 5:00 pm until 9:00 pm at the funeral home. Burial will be at the Rendahl Cemetery near Dunseith. 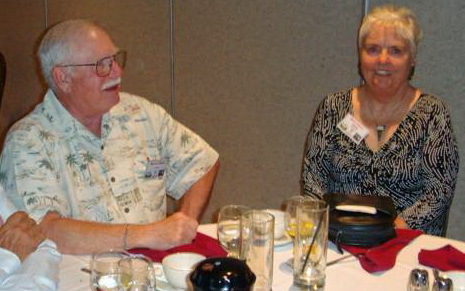 Sharon Beckman, a daughter of Nels and Gertie (Rispa) Landsverk, was born on May 21, 1945 in Bottineau. She was raised near Dunseith and graduated from Dunseith High School in 1963. She worked at Charnholm Shoe Store in Bottineau before becoming an operator with Bell Telephone in Bottineau. In the late 1960’s they transferred her to Bismarck. On November 5, 1971, she married Garland Beckman in South Dakota. They then returned to Bottineau. This marriage later ended. Sharon worked as cashier at the Gordon’s Piggly Wiggly, Jerry’s Jack & Jill and Bottineau Hometown Market. The last several years, she worked as a teller at the First National Bank in Bottineau. Sharon was a member of the Our Savior’s Lutheran Church in Bottineau. She enjoyed bowling, baking, playing cards and watching the Wheel of Fortune. She was very caring and giving and always thought of others first. She is survived by her brother, David Landsverk of Bottineau, and numerous nieces, nephews and great nieces and nephews. In addition to her parents, she was preceded in death by sisters, Evelyn Pladson and Barbara Lawrence; brothers, Elwood, Bruce, Virgil, Darrel, Arlen, Roger, Kenneth and Leland; niece, Elizabeth Landsverk; and nephews, Virgil (Little V) Landsverk. This a.m. I was saddened to hear of the sudden passing of Sharon Landsverk (Beckman). Sharon was well known by many, many people here in Bottineau. Many elder adults were recipients of Sharon’s kind, warm and generous personality. Sharon was close to all of her siblings and kept in fond contact with her cousins in far off places..
Sharon is survived by sister’s and brother’s in law, nieces and nephews, and many friends who fondly treasured her friendship. (NOTE) The Landsverk kids came out of the hills in the early sixties from a little country school in the hills. The Landsverk kids were quiet, and somewhat shy but personable and hard working. Sharon is survived by David (class of ’70). David joined the class with Mrs. Florence Conroy in the midst of 4th grade. Sharon’s Landsverk ancestors were very well known……. in a wide swath area of ND. They were exceptional stone masons. Sharon was quite proud of their contributions. What a shock to see Sharon’s passing. I remember Sharon so well from my school days and even more so with each of my trips back to the area seeing her Jack and Jill’s Grocery where she was a checker for many years. Sharon was a wonderful person. Always so friendly and nice. She will be missed by so many folks. That is a positive. We extend our condolences to all of her family with her passing. Today, I was informed about the passing of Pastor Anfinrud from my sister. We grew up with the knowledge that our mother’s mom, Sylvia Arizonia (Wicks) Lamb lost her life to acute leukemia. Mom felt he was a wonderful example of spirituality. She held him in the highest regard and respect! Bryan Schimetz (77) Passed away: Message from Mark Schimetz (70): Rolette, ND. Mark, David and the entire Schimetz family. Our thoughts and prayers are with you with the loss of Bryan. Mark and I, in the past, have discussed this disease (MS) with how hard it has been for the entire family, especially their mother Stella, coping with her children having this disease. It’s been a long hard road for all of you. Your family has not and will not be forgotten with all that you have been thru. Our condolences are with you. Gary. Hi Gary, It would be fun to have a piece of Bernadette’s rice cake. Sounds good. Could you put a recipe in this blog. I like to try new recipes. I do enjoy reading the news each day and have good memories of growing up near Dunseith. Marie Iverson Staub (60) will be attending: Seattle, WA. I am going to make the reunion if everything goes OK. A cousin and I are going to drive. I made out the check to send to Verena so will get that sent tomorrow. There will be 3 of us. PS – Folks; Marie lost Marvin a few months after our reunion last July. We so enjoyed seeing and visiting with him and Marie at the reunion. It was such a traumatic loss for Marie. She said reading our daily blogs really helped her coping with his loss. From Vickie Metcalfe (70): Bottineau, ND. April showers have arrived here in the foothills of the Turtle Mountains. Days have been quite windy followed by nights of thunder and lighting shows. At least an inch of steady rain washed Bottineau thoroughly clean last night. The warm earthy smells and sunny spring morning greeted me and Buie to our walk. My question for blog readers. What is the earliest date in the spring… anyone has seen earth worms in the area? Gary, This is in response to Sybil Johnson’s visiting Washington DC. I’m sure you will enjoy your trip immensely and hope you are able to visit and enjoy many of the national treasures located in and around Washington. Some things worth seeing in addition to those you already stated could include the Washington National Cathedral, Mount Vernon, Arlington National Cemetery (to include Kennedy’s Grave and the changing of the Guard at the Tomb of the Unknown Soldier), the Korean War Memorial and any number of the many National Museums. Alas, there is one thing on your list you may not be able to enjoy. The much discussed and locally bragged about Cherry Blossom Festival has come and gone and so have most of the blossoms. Usually they start blooming the very end of March and through the next couple of weeks or so. But, unfortunately, this year we had some really warm weather in the middle of March so the blossoms came a little early. So, most (if not all) of the blossoms are now history until next years.